NASCAR driver Corey LaJoie is getting a head start at the Daytona 500 this year. 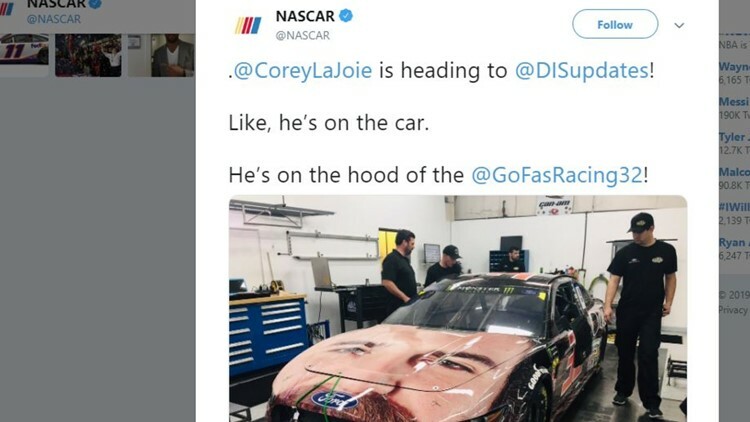 NASCAR driver Corey LaJoie is getting a head start in the Daytona 500 this year. It almost looks like a character in a new Cars movie. The Daytona 500 is scheduled for Sunday, Feb. 17.